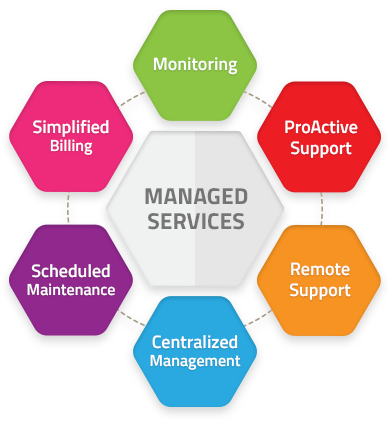 Managed Services provide you with peace of mind as we take care of all your IT requirements. With state of the art monitoring software running 24/7 to ensure your devices keep running, we provide you with monthly updates on your network to ensure your business continuity. Users always require some form of support, with managed services your staff have one point of contact for getting the support they need to get back to work.